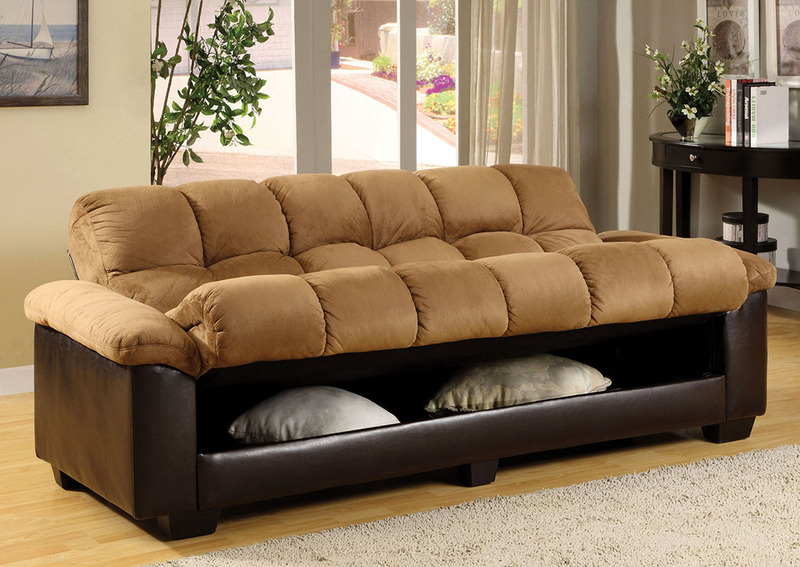 Enjoy the comfort and style of this futon sofa in plush elephant skin microfiber and espresso leatherette. The futon converts easily to a bed and has a large storage area under the seat. Matching swivel chair also available.